Two San Antonio teens were caught smuggling a pair of illegal immigrants to Dallas this week. The illegal activity was discovered when the teens were pulled over near Waco. The teens were identified as Abigail Contreras and Jesus Rodriguez, both 19 years old. They were arrested on charges of smuggling of persons and possession of fraudulent ID. The McLennan County Sheriff’s Office said that the teens’ vehicle, a Dodge Avenger, was pulled over because the car had an expired license plate. The incident happened around 10:30 p.m. Monday on Interstate 35 in Bellmead, just north of Waco. 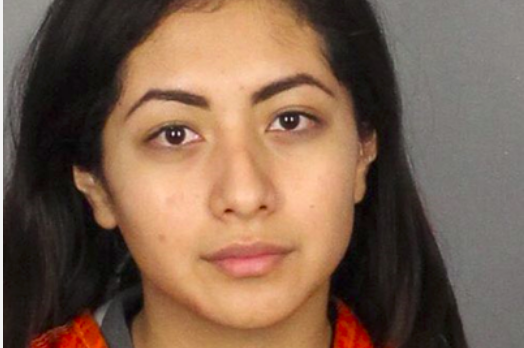 Contreras was driving, and when questioned, claimed that she was taking her uncles from San Antonio to Dallas. The deputies, however, found fake IDs in the car. One of the men also later confessed that Contreras was not telling the truth. The men who stayed in the car’s backseat also confessed that they paid the smugglers around $900 to take them across the Mexican border into Texas. They shared that Border Patrol agents, however, managed to capture most members of their group near Eagle Pass. The affidavit says Contreras was paid about $800 to transport the men. The San Antonio teens were booked into the McLennan County Jail. Each posted $15,000 bond on Tuesday. It is not yet clear if the authorities have gone after whoever Contreras and Rodriguez were working for or dealing with on the matter of transporting the illegals. It is also not clear if they have previously done the same illegal act before. One of the immigrants identified as 25-year-old Fernando Torres Rocha is wanted on a probation violation related to a DWI charge in Dallas County. He was sent to the Dallas County Jail on Wednesday and is being held on $1,000 bail, as well as an immigration detainer. The second illegal immigrant was also detained, but authorities did not release his identity. The 2 lowlife traitors to America can not afford car registration but somehow came up with 30k in bail? Who paid their bail? If I landed myself in jail at 19 my parents would have let me sit to teach me a lesson. If I was caught smuggling anything let alone people I’m pretty sure my dad at minimum would have 1 less kid. The gall of these people. It`s like the old gang banger looking hag that rear ended me. No insurance. Same with the nice latino neighbors across the street. Whose grown, employed & live at home daughter backed into my wife`s car. No insurance either. Criminals, illegals & privileged feeling people of all classes & colors disregard any & all law that does not suit them.